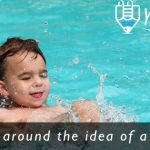 You are here: Home / Pool Side Blog / Pool FAQs / How much dirt is removed during swimming pool excavation? 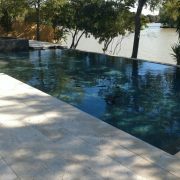 Building a pool in Montgomery County Texas? How much dirt will be removed, and should I worry about it? We get this question asked quite frequently from our clients around Montgomery County when leading up to the day of excavation of a new inground swimming pool. We all want to know what happens to all of that dirt! So, really quickly, because there’s just not much to it, we will explain who gets the spoils of digging a new pool. Some of the dirt might stay, most or even all gets hauled away. Out of sight, out of mind! What comes out of the ground? Throughout Montgomery County whenever we dig a new inground pool, we pretty much know what type of soil conditions to expect. Especially for neighborhoods that have been around for a while like Grand Harbor in Montgomery, TX, Grand Central Park and Crighton Woods in Conroe, TX, The Woodlands, TX and the list goes on around the area. We usually find that the first foot of soil is top soil, a great mix for plants and grass. Below the top soil we usually find a type of mixture that includes clay so that it can be compacted to specification for the development of the neighborhood, and of course the foundation of the homes. Depending on how deep the pool is, average pool depth being in the 8 foot range, we may excavate portions of the original soil from before the development of the neighborhood took place. In 99.9% of swimming pool construction projects around Montgomery County Texas we have never encountered subterranean conditions that would not allow us to install the pool. Can I keep some dirt from the pool excavation? We are also asked if there are any savings of the pool price if the dirt is kept on site. In most cases the answer to that is no, there usually is not any savings worth for NOT hauling away the spoils. However, as a trade-off we may work with you to drop piles where you need them on the property, or even if agreed then we can grade the spoils around the property for you instead of hauling away the dirt, but these situations are more of a case by case basis. The requirement to use a portion of desirable clay mix soil that is excavated from the pool dig site on the preparation for the decking stage for pools that may rise out of the ground is reserved to the amount that will be required to pad the decking area. So, before you can have any of that good ole dirt, we will need what is required for decking first. Additional soil may be required, and usually is. So if the soil is not exactly what we are after to use in future stages of the pool construction we will bring in what we need. We take great pride in all stages of the swimming pool construction process, even the dirty parts! Even though it is a tough and dirty job at times to excavate a swimming pool, we always make sure the surrounding areas are clean and safe. During this time between the excavation and the application of gunite, you will want to keep both the pets and children away from the excavated hole. In most cases the fence is removed to allow the 8 feet of required access distance for our pool excavation equipment. This can create a safety concern for most families and an inconvenience for most family pets, so it is imperative that we erect the temporary construction fencing as soon as the excavation is complete. Whether you neighbor has a pool or needs one too, we will always inform them of the construction that will be taking place right next to them. In some cases we may have to cross over the neighbor’s property line, or remove portions of their fence as well as your’s. Whatever the special case is getting ready to dig your new pool we will help you cover all of the bases! Sometimes answering questions leads to more questions, so if this has helped you but you have new questions about the swimming pool construction process around Montgomery County, TX then be sure to check out our Pool Construction page, it’s in the main menu. 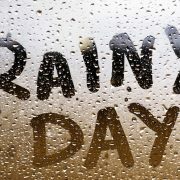 You can always give us a call, we don’t mind answering your questions at all! 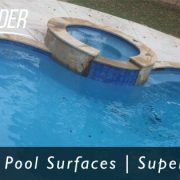 Your Pool Builder of Texas, building quality swimming pools and spas at affordable prices all around Montgomery County Texas! 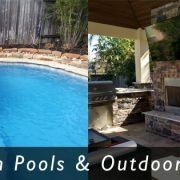 https://www.yourpoolbuilder.com/wp-content/uploads/2017/04/inground-pool-builders-Conroe-TX-77304-77302.jpg 315 851 Your Pool Builder https://www.yourpoolbuilder.com/wp-content/uploads/2017/04/Web-Ready-Logo-Black.png Your Pool Builder2017-04-04 18:29:382019-03-21 14:08:01How much dirt is removed during swimming pool excavation? What time of the year is best to start building my new pool? 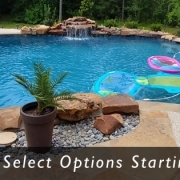 Pool Builders Conroe TX What time of the year is best to start building my new pool?